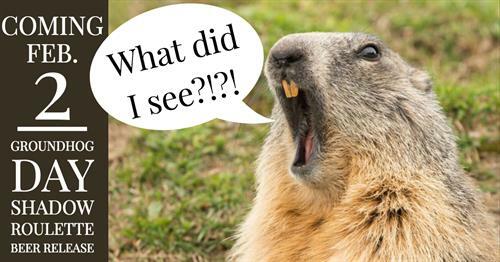 Punxsutawney Phil has his big day. In conjunction, Big Choice is releasing our West Portal Colorado Pale Lager and our Brut #1 IPA. If Phil does not see his shadow, get your first pint of one of the new releases for $5 - $1 cheaper than normal cost! Nothing like a little game of chance using a rodent who has way more power than one would think.